Mexican Independence Day is September 16th! On “El Grito” Mexicans all over the world celebrate Mexico’s independence from Spanish rule. 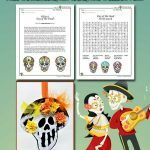 Teach your students more about this important day in Mexican history with these coloring pages that celebrate Mexican heritage and culture. 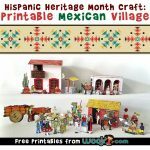 Many of us are familiar with Cinco de Mayo, and perhaps with Mexican Independence Day, but the country celebrates a number of interesting holidays each year. Like the US, Mexico celebrates the New Year (Ano Nuevo) on January 1st, but January 6th is also a special day (Dia de Los Santos Reyes) and is when many people exchange Christmas presents. On February 5th, the nation celebrates their constitution with Dia de la Constitucion. Perhaps one of the most well-known Mexican celebrations is Carnival. For five days before the Catholic Lent season, Mexicans celebrate with dancing, music, and parades. People from all over the world travel to Mexico just to be a part of Carnival each year. This is just the tip of the iceberg when it comes to celebrations and festivals in Mexico. 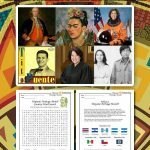 You might also be interested in our Cinco de Mayo coloring pages, and these awesome Hispanic Heritage Month activities, too! 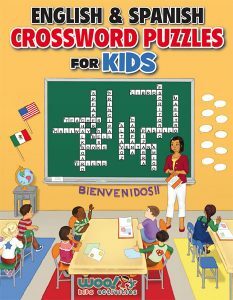 If your kids are bilingual, please also check out our English and Spanish Crossword Puzzles for Kids book! We know that the U.S. celebrates its independence on July 4th and Mexico celebrates its on September 16th, but what about some of the other countries?